Does Cholesterol Cause Heart Disease? 5 reasons why cholesterol is good for you. Feeling Discouraged with Your Weight Loss and Healing? US WELLNESS MEATS IS OWNED AND RUN BY FAMILY FARMERS WITH AN EYE TOWARD THE FUTURE AND A RESPECT FOR THE PAST. 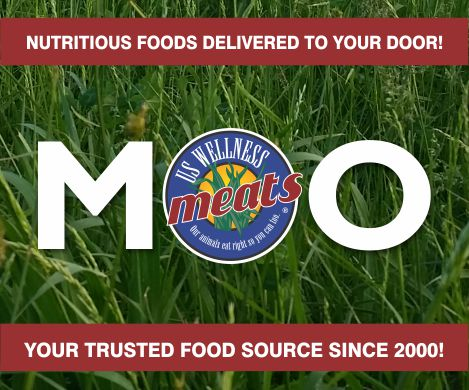 US Wellness Meats was founded in 2000 in Monticello, Missouri (pop. 98) by visionary farmers, who saw that big-business cattle-raising practices were taking a toll on our animals and our health. By returning to rotational grazing practices that are good for the planet and good for our cattle, we led the way in introducing a new generation to the unmatched taste, tenderness, and healthiness of grass-fed beef. Our animals live by the nature-approved grazing practices of the bison of the American Great Plains. For thousands of years, bison thrived in abundance on lush North American grassland. Millions of animals lived in harmony with the land by continuously moving from one grazing area to the next, allowing grassland to regularly renew itself. The relationship was good for the animals and good for the planet. By applying these same practices, US Wellness Meats farmers have introduced the same thriving balance to our own farms. Our animals don’t need antibiotics or growth hormones to grow big and healthy. Our land doesn’t need pesticides or artificial irrigation systems to develop rich, fertile biodiversity.